Dame Wendy Hall DBE, Professor of Computer Science at the University of Southampton, has been elected to the Fellowship of the Royal Society, it is announced today (Friday 15 May). The Royal Society is the UK’s national academy of science. Founded in 1660, the Royal Society will next year celebrate 350 years of promoting excellence in science and supporting scientific endeavour. Each year the Royal Society awards Fellowships to 44 of the best scientists in recognition of their scientific achievements. 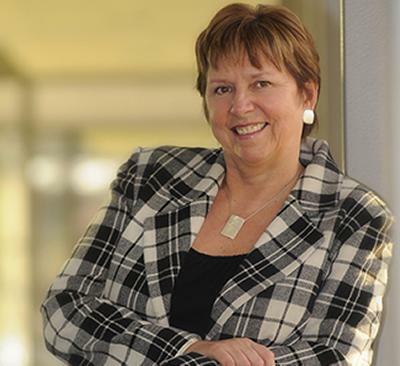 Dame Wendy Hall is distinguished for her contributions to understanding the interactions of humans with large-scale multimedia information systems. Her most recent work centres on the development of a new field of Web Science focused on understanding and exploring the various influences – science, commerce, politics, and societal changes – which drive the evolution of the World Wide Web. Her research is aimed at both understanding the evolution of the Web and engineering its future. She is particularly prominent as a strong and vocal advocate for women’s opportunities in science, engineering and technology (SET) and for the need to ensure that they are equally included in participation in science and engineering careers. She is currently President of the Association for Computing Machinery (ACM), the first person from outside North America to hold this position; in the UK, she has served as Senior Vice-President of the Royal Academy of Engineering, and President of the British Computer Society. She is a member of the Prime Minster’s Council on Science and Technology and a member of the Scientific Council of the European Research Council. In 2006 she was one of the Founder Directors of the Web Science Research Initiative. She was created DBE (Dame Commander of the British Empire) in January 2009 for services to science and technology. Dame Wendy commented: “This is the pinnacle of the academic career ladder for any scientist. As someone who has very much focused on engineering and application building, I never really thought that being made a Fellow of the Royal Society was something I could expect to achieve in my career. Dame Wendy took both her undergraduate and postgraduate degrees in mathematics at the University of Southampton.